This Instant Pot idli rawa sandwich dhokla (savory steamed cream of rice cake) is a modified version of the famous Gujrati khatta dhokla and suji rawa dhokla. 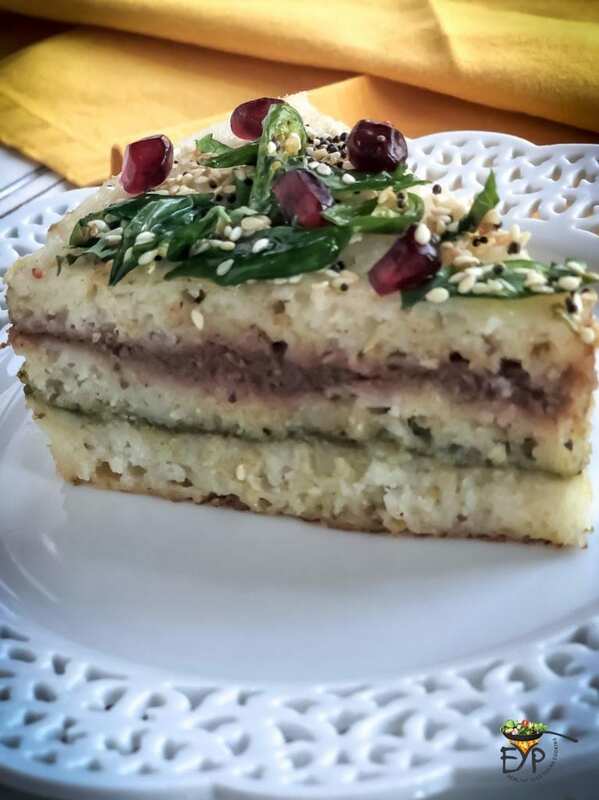 The layered dhokla with the two different chutnies adds a unique flavor and it immediately melts in your mouth. It goes along perfectly with a hot cup of chai on a cold day, rainy evening or any other time you like. Khatta dhokla is made with rice and lentils (same batter as idli) but needs 8 -12 hours of fermentation. The instant version of dhokla is mostly made of suji/rawa (cream of wheat) making it difficult to relish for those who are on GF diet or allergic to gluten. 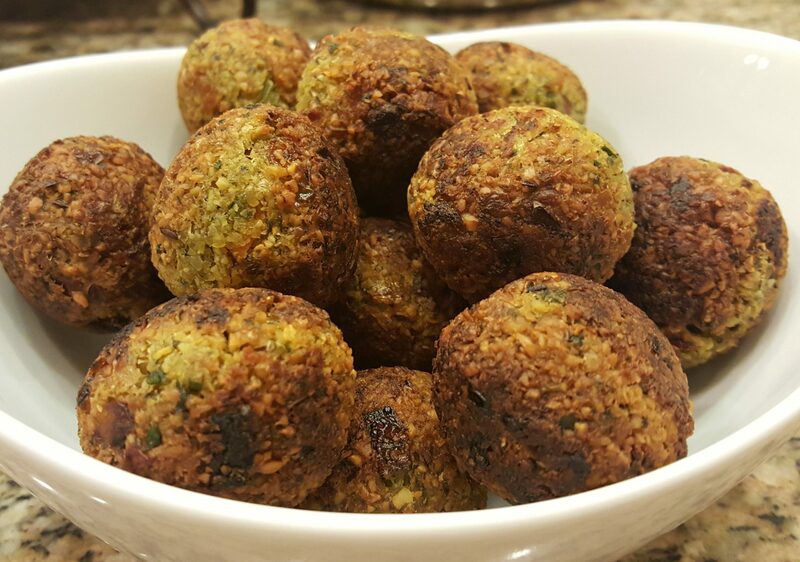 Using Idli rice rawa makes it gluten-free, nutritious and instant snack at the same time. 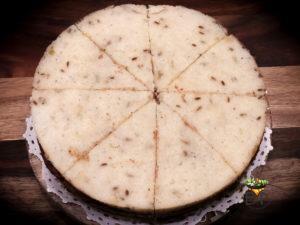 Are all Dhoklas (savory steamed cake) same? 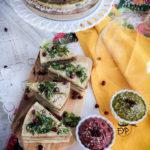 The term Dhokla come from the state of Gujrat and these are available in three variations. These are known as Khaman Dhokla, Khatta Dhokla and instant suji or rawa dhokla. Khaman dhokla is made by either soaking channa dal (Split bengal Gram) 4-6 hours and then grinding it or from prepared chana dal flour (Besan/chickpea flour) and has a little sweetness in the flavor. Khaman dhokla can be made instantly by using fruit salt (or Eno) as a leavening agent. 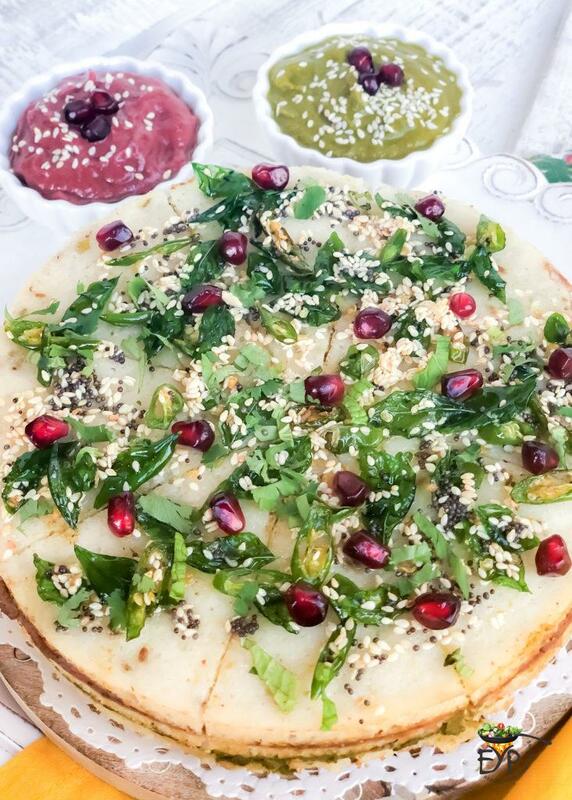 On the other hand, Khatta dhokla is made out of rice and lentils, especially urad dal lentil ( Split black gram) and fermented by traditional methods taking 8 to 12 hours. 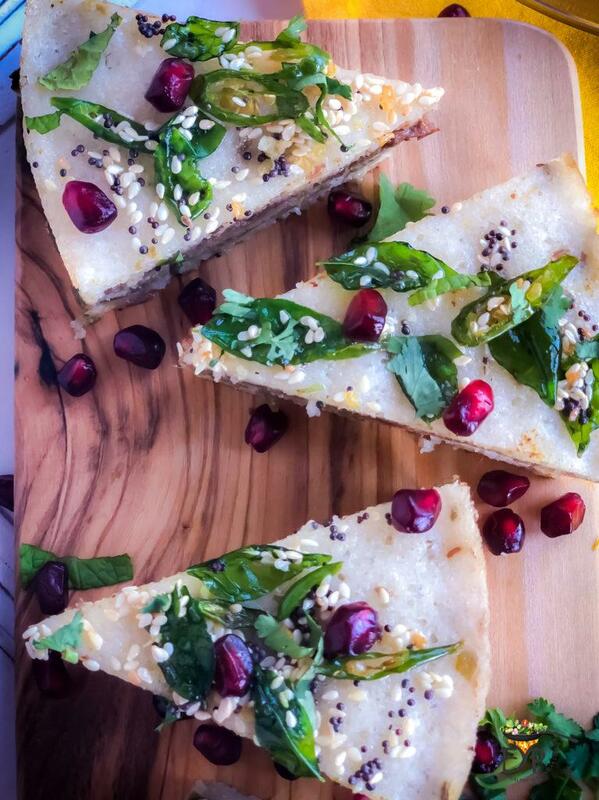 Whereas, suji or rawa (cream of wheat) dhokla is a popular instant version of dhokla (savory steamed cake). Hence, when picking a dhokla recipe, make sure you pick the right one based on your liking or dietary restrictions. For example, Khaman dhokla recipes are not usually gluten free because is needs a little bit of sooji or rawa as an essential ingredient. 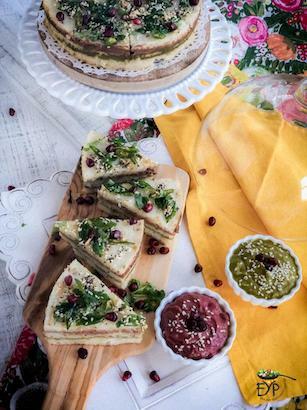 Khaman dhokla is also not an option for those with allergies to besan or wheat. 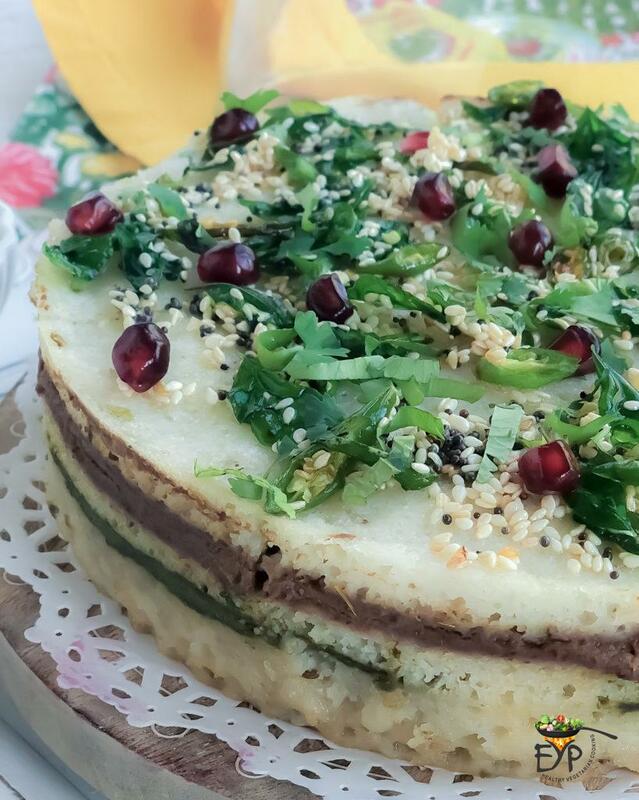 How is this Khatta Dhokla recipe different? In this Khatta dhokla recipe, instead of using 12 hour fermented batter of rice and lentils, I have used idli rice rawa batter fermented with fruit salt (eno), to make it instant. To further enhance the flavor of the dhoklas, I have added minced ginger, green chilies and cumin seeds in the batter along with making it as a sandwich with chutney filling. This recipe uses a spicy green cilantro mint chutney and a cranberry chutney, which has a hint of sweetness in it. 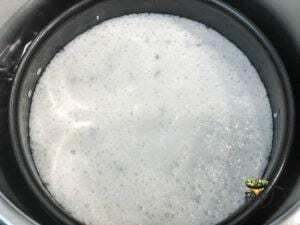 Why it is called Khatta (sour)? The yogurt used in this recipe needs to be really sour to brings out the tangy flavor of the dhokla. To further increase the sourness, add some lemon juice into the batter. However, if the yogurt is sufficiently sour then dhoklas will be enough khatta (sour), without addition of any lemon juice. 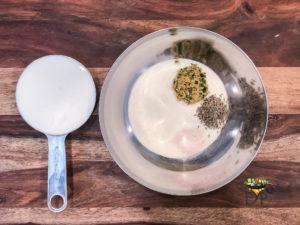 To deepen the sourness of yogurt, I usually leave the yogurt out on the countertop for 12 hrs. Above quantity of ingredients will yield 8 servings. 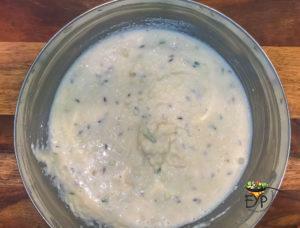 Take a mixing bowl above specified quantities of Idli rice rawa and yogurt. 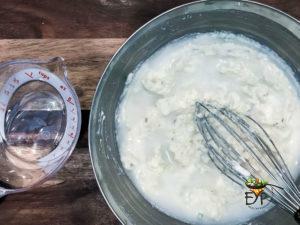 Now add water slowly while whisking to make sure that no lumps are formed. 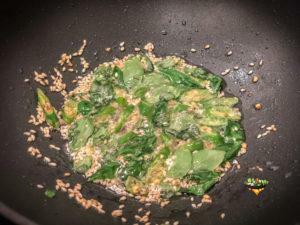 After mixing it for 2-3 min., add rest of the ingredients: Salt, minced Ginger, Green Chili and cumin seeds. 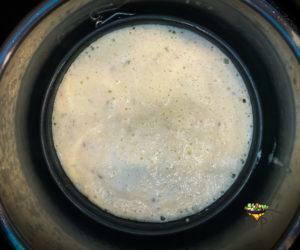 Whisk well and let it rest for 30 minutes so that idli rice rawa is soaked well in yogurt. The batter should be thick but pourable, like idli batter. To adjust the consistency, add more water if needed. Now oil the springform or any 7-8 inch round baking pan nicely so that the dhokla does not stick to the bottom or the sides of the pan. NOTE: Fruit salt should be added just before steaming. 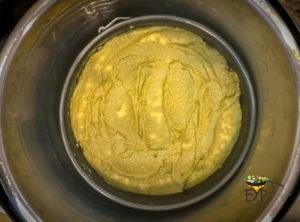 Before adding the fruit salt into the batter, first prepare the Instant Pot for making Dhokla. 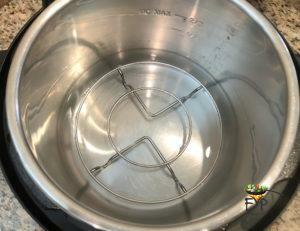 Add 2 cups of water in the inner stainless steel pot of instant pot with water and place the trivet which comes with the instant pot on the bottom. Switch on the sauté mode on high heat so that water start getting heat up. Now divide the batter into two/three or four different bowls depending upon how many layers you want to create. Add ½ tsp of fruit-salt/ ENO which is easily available at an any Indian grocery store and acts as a raising agent in this recipe and make this recipe an instant recipe a shortcut to traditional 8-12 hrs long fermentation process. 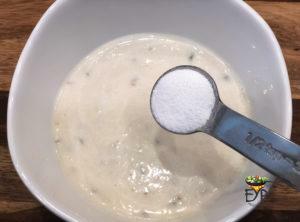 If you happened not to find the fruit salt then substitute with baking soda and add ¼ tsp of baking soda in the first bowl of portioned batter. Mix the batter rigorously with a spoon, it will become fluffy and bubbly. 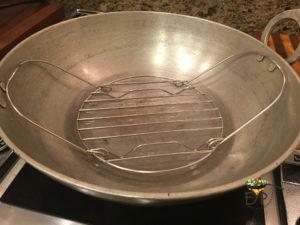 Immediately like within 5-7 seconds of adding fruit salt transfer the batter into the oiled springform/baking pan. 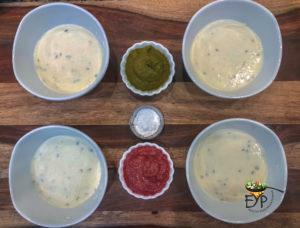 Place the Dhokla’s pan with first portion of batter above the trivet in the Instant Pot and close the lid of the Instant Pot. Cancel the sauté mode, switch to steam mode and steam for 0 minutes. It will take three minutes to build up the pressure until the display will show “ON”. After that the Instant Pot will beep and go into the “Keep Warm” mode. The display will change to showing “L0:00”. The “L” stands for lapsed time and tells you how long the cooking cycle has finished. 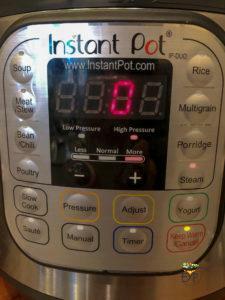 After seven minutes of lapsed time, when the display shows “L0:07”, quick release the pressure manually by turning the valve to venting position. Make sure you keep away the valve position from you and use a kitchen towel to turn the valve to refrain any accident with hot steam. Remove the lid and spread some green chutney over it with the help of a spoon. 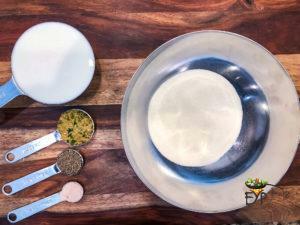 Now quickly add ½ tsp of fruit salt/eno or ¼ tsp baking soda whatever you are using as raising agent in the second portion of batter mix it rigorously and quickly pour it over the green chutney. Repeat the cooking process of same as first time, which is steam for 0 minute and quick release of pressure after seven minutes. 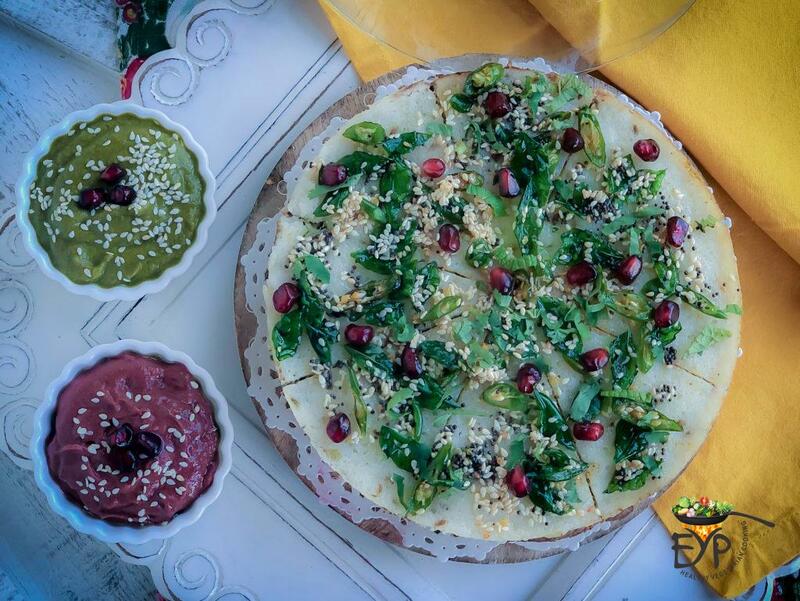 Remove the lid and spread some Cranberry chutney this time over the second layer of dhokla with the help of a spoon. Again add fruit salt/Eno or baking soda in the third portion of the batter. Mix it rigorously and pour it over the cranberry chutney. After adding this last layer of batter steam for 5 minutes and QR of pressure after 15 minutes. When we were steaming for 0 minutes the layers were not getting cooked 100% but just enough to spread the chutneys on the top. That’s why the last layer needs to cook for longer time. Remove the pan from the instant pot and let it cool for 15 minutes. Now run the knife along the side of the pan which will help the separate dhokla from the pan. If you are using spring form carefully open the sides and remove it. Demold the dhokla from the pan on a flat platter and cut into your desired shape and size. Though diamonds or squares are more popular shape to cut the Dhokla into. I decided to go with wedges. I divided the whole dhokla into 8 wedges. Now its time to prepare the tadka/tempering for dhokla. 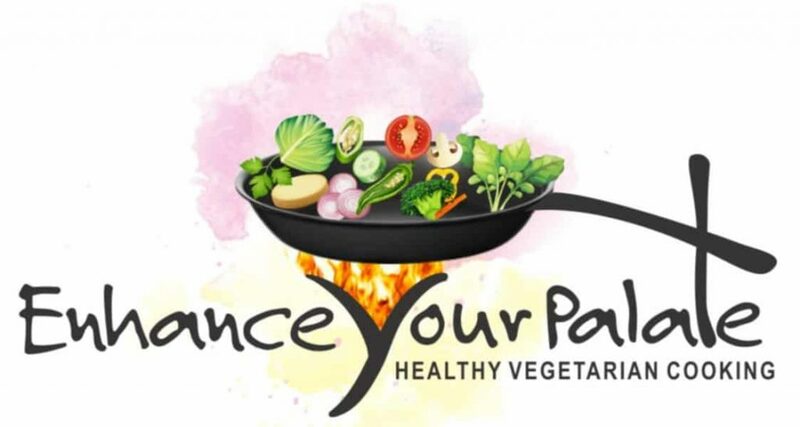 Do not skip this step as this tadka adds so much more flavor to the dhokla. 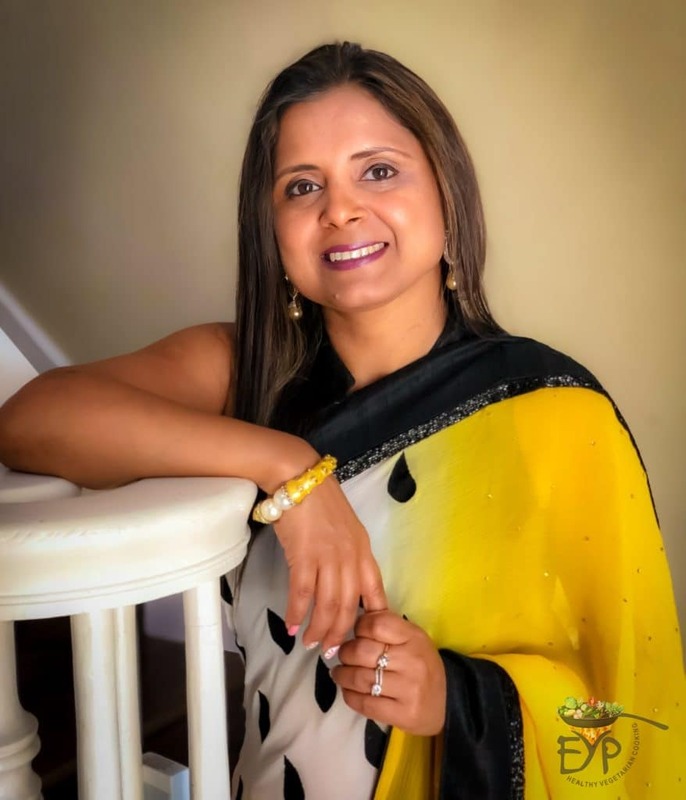 To prepare the tadka, heat oil in a small kadahi/wide pan or tadka pan, then add the mustard seeds, sesame seed, chopped chilies, and curry leaves and let everything fry for 15 -20 seconds. Pour the tadka over the sliced pieces. Sprinkle with some chopped cilantro and serve warm or at room temperature. In case you don’t have an instant pot, the method remains mostly the same, but instead of instant pot, you’ll need a wide and deep enough pan to hold seven to nine inch baking pan. 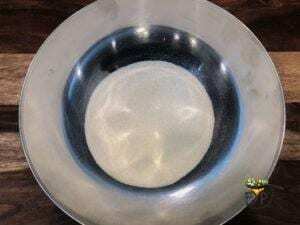 Same as instant pot recipe, put two cups of water in the bigger stove top pan that sees direct heat, and a trivet to raise the dhokla pan above water level. Follow the same steps as the instant pot recipe for making dhokla layers and spreading chutney. For the first and intermediate layer use 7 minutes of steaming time and for the final layer use 15 minutes. 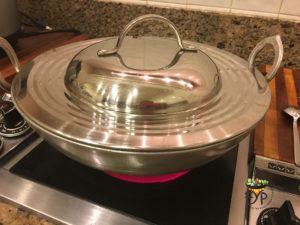 Make sure that your lid for the main cooking pan fits properly to hold the steam. If you like the post, please show your support by sharing it with others via your social media accounts or other venues. If more people visit our blog, we can bring more content to you faster. If you like the recipe, please leave a rating and feedback. Beautiful presentation!!!! Keep up the good work? 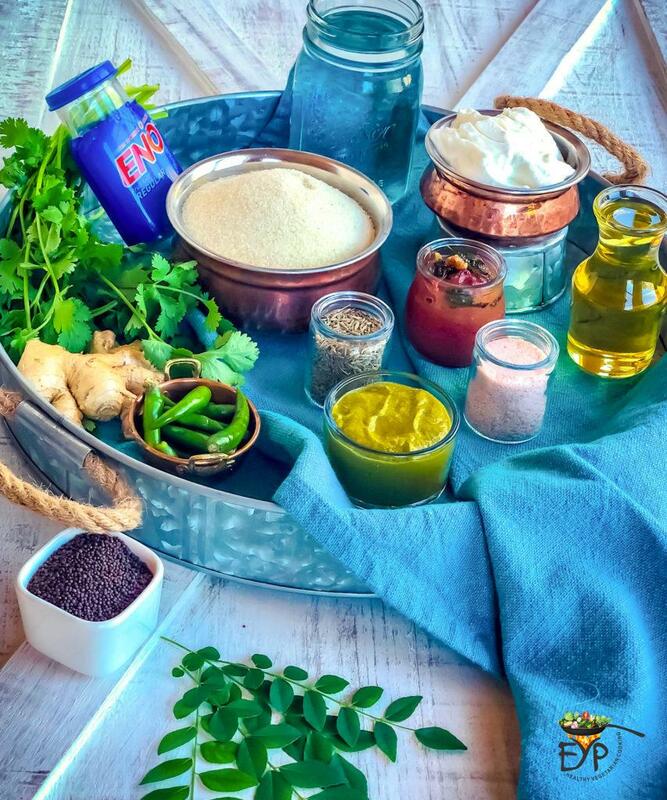 Here, I share recipe ideas from my North Indian roots and my globetrotting present that range from beautifuly simple creations to elaborate showstoppers. No spam! Only for new recipe notifications.